At one point or another, you may have wondered, “where can I find Reiki near me”? 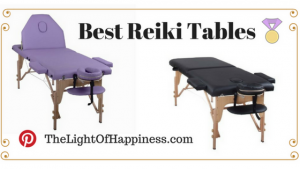 Below, you will discover the most up-to-date for 2019 list of the best Reiki Masters for students seeking training classes, certification and attunement in Maine. Also, locate Reiki treatment and energy healing sessions in order from the highest to least populated cities and towns in ME. TheLightOfHappiness.com brings together the local Maine community of healers with a resourceful guide to locating energy healing in a town or city near you. Arcana Reiki is here to help you cultivate your own self-expression. Arcana Reiki provides a cozy and rustic studio for massage, energy work, and Ayurvedic treatments. The studio supports local jewelry craftsmen that create crystal healing jewelry. In addition to normal services, there are plenty of opportunities to participate in workshops and events, such as sound healing, counseling, and teacher training. Reiki Partners Maine focuses primarily on Reiki and hypnotherapy as a means of healing, and offers training for both. Additionally, they offer essential oil education and shamanic practices at certain key times of year. Reiki Partners Maine maintains a fairly regular schedule that includes both reoccurring and special events, such as healing circles, meditation groups, and certification courses. Kassia Kristoff is a second degree Reiki practitioner dedicated to helping others achieve the freedom and fulfillment that Reiki has brought to her own life. Sessions are reasonably priced and scheduling is flexible. Experience the healing power of Reiki in a tranquil environment, with a session tailored to your needs. Laurence Miller offers dance classes in addition to her healing arts. He is focused on healing the mind, body, and spirit, and uses dance as a way to heal the body through Latin and Ballroom. He likewise practices Reiki and Tai Chi as a way to heal the mind, and offers several post-modern Interfaith services as a way to heal the spirit, including weddings, funerals, and christenings. Begin with Healing offers a great selection of enlightening services, including intuitive readings, numerology, past life regression, couples readings, hypnotherapy, and Reiki treatment. Readings are available for both large and small groups and often help introduce the art to those that may never try it otherwise. You are also able to train for both hypnotherapy and Reiki at this center, and participate in other educational workshops, such as how to make kefir and psychic development. Eve is a Reiki USUI Master and Teacher. She offers Energy, Crystal, Healing and Empowerment work, in addition to providing guidance to other’s along a shamanic pathway she has been following for a number of decades. Her original training as an RN, as well as counseling skills, ensure a holistic approach for every facet of healing one’s being. Eve is a Soul Guidance and Sacred Mentoring (SGSM) Practitioner having studied with Alana Fairchild. She is passionate about igniting a spark and helping others grow, to attain the best and highest state possible. She has a particular affinity with women, animals and children. Her healing services are offered distantly and at the EverLight Healing Centre in Liberty, Maine. For more information, you may visit her website or contact her at: Energetix.Lightbody8888@gmail.com.